Excerpted from the Sutherland Centennial 1891 – 1991,published in 1991. Arthur W. Elfeldt was born in Lancaster, Co., Nebraska, on Sept. 8, 1887. As a child he lived near Hallum, Nebraska, on the family farm. When he reached the age of 14 he developed a very pleasing bass voice, using it to sing in the church choir, and in a short time, became a member of a male quartet. He loved to sing and continued to sing in different male quartets until his late 60s. As a young man, he held several jobs in Lincoln, Nebraska. Namely, a grocery delivery boy, and later as a salesman in a men’s ready-to-wear store. In his early twenties, he moved with his parents to Beatrice, Nebraska. Here he and his father owned and operated a grocery store and a restaurant. It was here that he met Edith B. Wallace. They were married on November 1, 1910. In 1911, he and Edith came to the Sutherland area, settling on a farm 12 miles southwest of town. Rural life was not easy in those early days, but both Art and Edith were hard working, dedicated people. It was on this farm that they raised their four children: Glenn, Marie, Beulah and Carl. The farm consisted of about one and a half sections, 300 acres of cultivated land and the rest pasture. Art worked long hours plowing, planting, cultivating such crops as wheat, corn, oats, barley and cane. Along with this work, he developed a good strain of Hereford cattle. The combined family milked cows, separated the milk, sold cream and butter, and used the rest to help feed pigs. Edith raised huge gardens, preserving, pickling and canning what the family didn’t use fresh. A large dishpan of strawberries was picked each morning for most of the summer. She also raised many chickens, usually about 300, each year by using the setting hens to hatch the eggs. It was not unusual for her to have 15 or 20 hens setting at one time, all in their individual pens so each one had to be fed and watered separately. These chickens were the family’s main source of meat during the summer months. Beef and pork was butchered in the fall. When the weather was cold enough to keep the meat, it was eaten fresh, but most of it was canned or cured. There were no freezers back then. Neighbors were a valuable part of country life in those days. Not only for the social contact, but also for help with many farm jobs. If anyone had a job that was too big for him and his family to handle, the neighbors came from miles around to give him a hand, and in return, each one helped the others. When this happened, the men always knew there would be a table laden with lots of good food when their work was finished or meal time came around. Art was a dedicated member of the Odd Fellow’s Lodge, holding all the local offices during his lifetime and also working at state level in their Lodge. He was an active member of the Farmer’s Cooperative Association, serving on the Board for many years. He believed the organization was a big help to the individual farmer’s needs and their contribution to all as food producers. Art was a member of the Lion’s Club, and was proud of the work they did to help others. He was an active member of the Methodist Church all of his life, and continued to sing in the choir as well as help in other areas of the church work. He serve3d on the rural School Board most of the time while his children were in school, and was regarded as a person who would always offer a hand when and where it was needed. 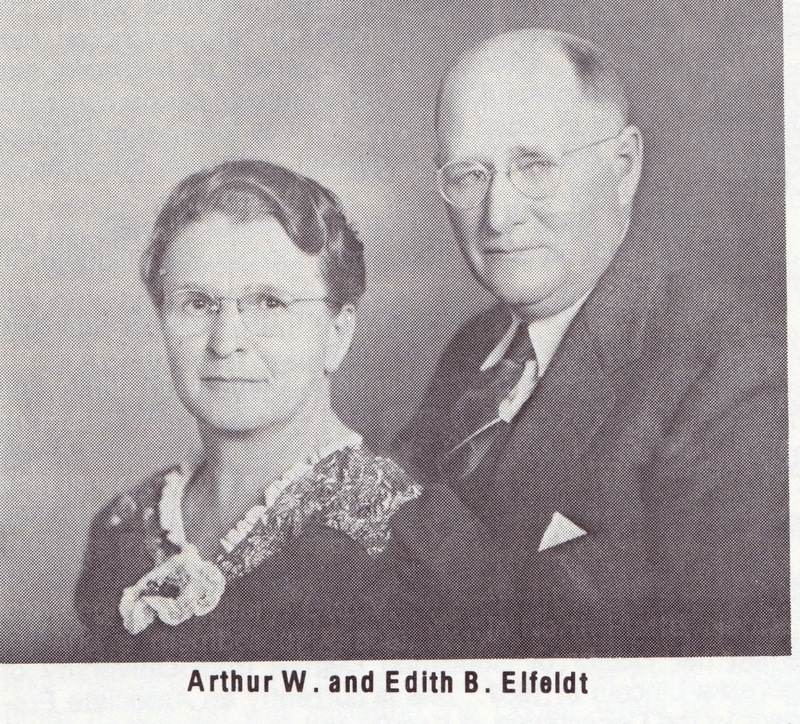 Arthur W. Elfeldt died on July 6, 1967.